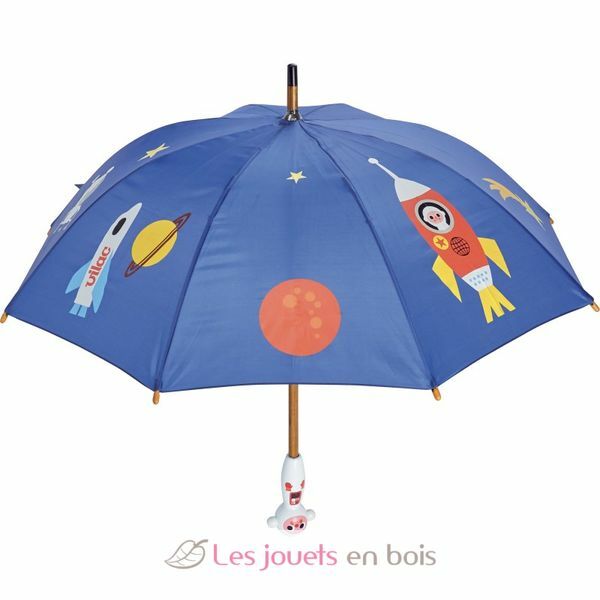 Made in France, in lacquered wood, this fun Spaceman Umbrella illustrated by Ingela P. Arrhenius is ideal for children. 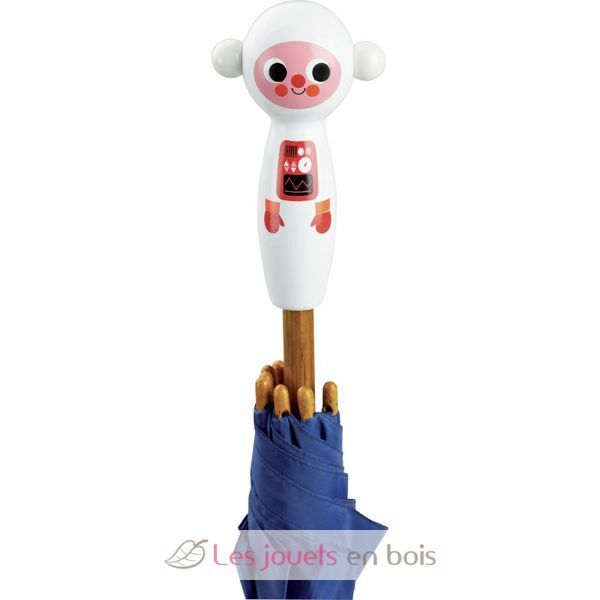 With dimensions adapted to their size, it is lightweight and hold well in hand with its wooden handle in the shape of spaceman. 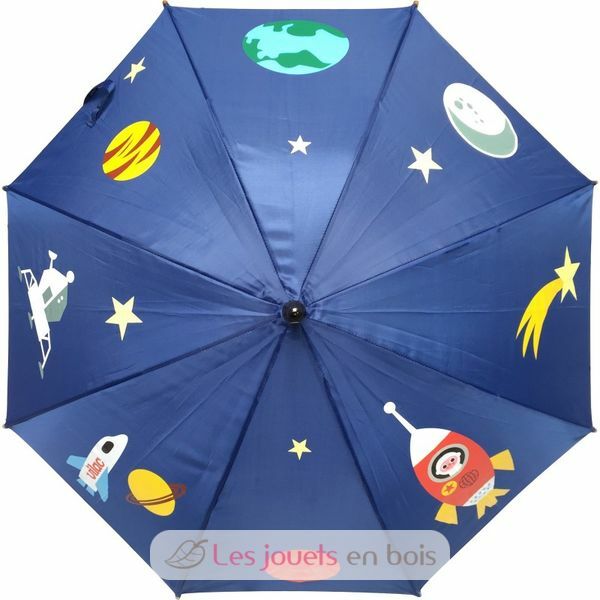 This Spaceman umbrella for kids is made with new very strong carbon structures. Height: 70 cm. 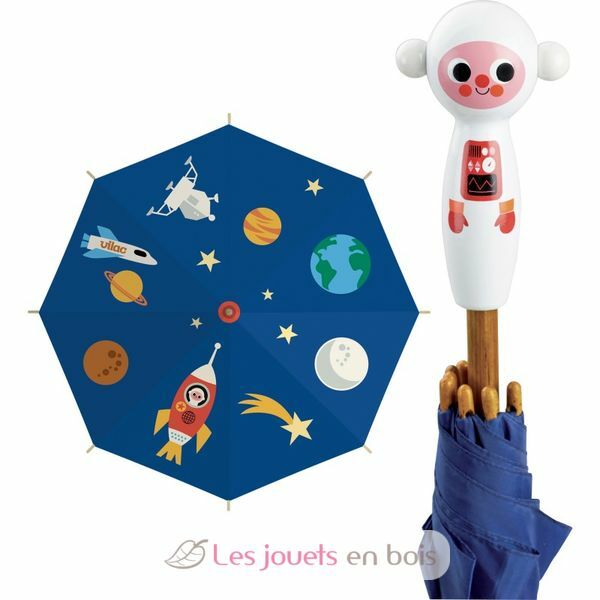 Spaceman Umbrella, kids umbrella made by Vilac. Item number : 7731.